Nearly 40 years of delivering award-winning marketing. 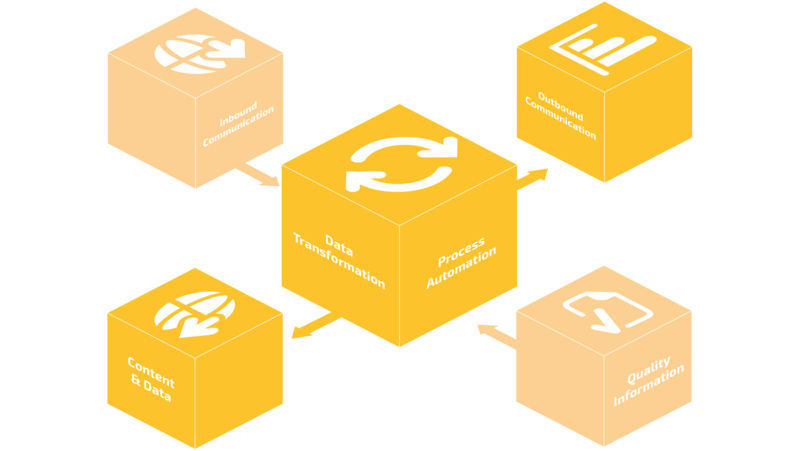 Innovate your business and marketing processes via data transformation and process automation. Unify and more efficiently harness the power of content and data to drive business growth across all relevant inbound and outbound channels in a consistent, coordinated manner. The result builds brand equity, increases penetration, boosts conversions and achieves higher returns on your marketing spend. Our people take pride in the enthusiasm and professionalism we bring to our work, and our clients trust us to deliver what we promise. Under Bob’s stewardship, Vanguard has established itself as a successful full service marketing solutions company. Bob oversees all strategic sales activities. Since he became president in 1994, Vanguard has more than tripled its annual revenue. One of three CPAs at Vanguard, Bob earned a B.S. in Accounting from Villanova University in 1978. Prior to joining Vanguard in 1982, Bob spent four years on the audit staff at Deloitte & Touche in New York. In 2001, he was elected to the PSDA Board of Directors. 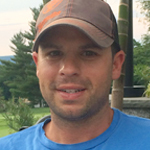 In 2014, he was elected as president of The First Tee of Raritan Valley, a youth development organization. In the past, he has served as Board President of PSDA. Don leads the Marketing and Sales of our Digital and Traditional Media competencies, including Strategy and New Product Development. He earned a B.S. 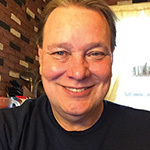 in Accounting from Villanova University in 1983 and then joined Vanguard as a Salesman focusing first on Printed Services. In 1987, he helped launch our Commercial Printing and Direct Mail businesses. Under his leadership, both have generated consistent double-digit annual sales growth. More recently, he has guided Vanguard’s customers with emerging Digital Solutions. 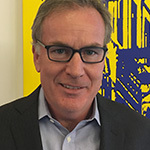 Ralph joined the company in 1989 as Sales Manager, named VP of Sales in 1992 and then became Chief Operating Officer in 2003. Currently, he oversees company Sales and Operations for our CT, PA, and Maplewood locations as well as supporting NYC headquarters. He earned a B.S. 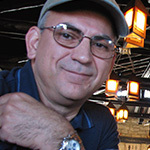 in Business Management from Rider University in 1979 and has more than 36 years of experience in the industry. Preeti is our resident Nerd-in-Chief. She has more than 18 years of exposure managing all aspects of Product Design, Development and Deployment and Project Management. Preeti evaluates, recommends and implements new products and technologies for customers. Focused on improving existing processes/infrastructure and development, she brings to Vanguard her in-depth knowledge of application development, database operations, user interfaces, product design and technology. Carnegie Mellon University. 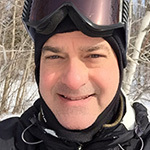 A computer systems professional with proven technical leadership and management skills, Tom joined Vanguard in April of 2007. He has more than 25 years of hands-on experience in information systems and information technologies. As Vice President of Information Technology, he oversees the architecture and implementation of all operational and business support systems that the organization uses to operate and manage the business. Tom plays a major role in the direction of the company’s technology strategy and provides leadership for the continued development of an innovative, robust, and secure information technology environment throughout the organization. Steve joined the Vanguard team in 2015 and is responsible for managing and enhancing the customer experience across the Operations platform, specifically in Design, Client and Production services. Through the development of workflow and process improvement metrics, Steve is helping our people to improve the experience Vanguard delivers to our clients every day. 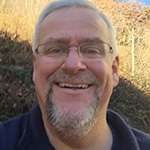 He has over 20 years of experience in leading people as well as processes in the creation, management and distribution of content, both physical and digital. In addition to the United States and Canada, Steve has managed service operations in Europe and Asia. 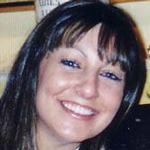 Andrea Moglia joined us in 2010 as Controller, overseeing all finance and accounting operations. She has diverse experience in finance, having worked at Time Warner Inc., Court TV, and Arthur Andersen. A Certified Public Accountant, Andrea has a Bachelor of Science degree in Accounting from the State University of New York at Binghamton. Robbie is the Vice President of Advertising & Strategy. 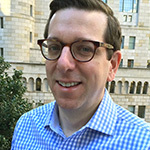 He discovers insights that lead to “big ideas,” contributing to creative and strategic thinking, and leading day-to-day management of client campaigns. Prior to joining us Robbie worked as an advertising professional with McCann and Y&R in Europe on brands including McDonalds, MasterCard, Beck’s and companies such as Unilever, P&G and Kraft. He has received awards from Cannes and IAA for his work, and is an award-winning ballroom dancer. Kevin Green, who joined us in 2007 as Director of Creative Services, has more than 20 years of leadership experience in graphic communications. Under Kevin’s lead, VGD has built a creative design team with proven expertise across web, mobile, and print applications. He received his B.S. degree in Biology from St. Francis College. 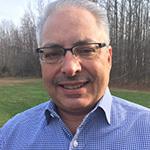 Steve brings 23 years of distribution and fulfillment experience to Vanguard and has managed our New Jersey facility ever since he joined the company in October 2005. As Vice President of Logistics, Steve is directly responsible for our 110,000 square foot distribution center and its staff of 56 distribution professionals. He works to ensure the flawless and timely execution of each program and project we perform. And he constantly seeks to enhance our operational efficiency through the implementation of greater mechanization and automation. Steve earned a B.A. in International Relations in 1984 from Towson University. 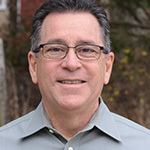 Jordan Andrews is Regional Director of Sales for the Connecticut office, managing all sales and production activities. With over 14 years’ experience in the industry, he helps the commercial, healthcare, educational, legal, and governmental markets manage their bottom line; combining the right technology and creative problem-solving to meet their needs. Jordan holds a B.S. in Marketing from Bryant University with a double minor in CIS and Communication. John leads a sales team that has produced strong and steady growth since he joined Vanguard in 2009. With over 30 years in the industry, John has excelled in both sales and sales management positions in the healthcare and financial services markets. John brings over 30 years of printing industry experience to better service his customers and manage the local sales office. John holds a B.S. in Marketing and Management from Temple University. He has also earned several certificates in strategic selling techniques throughout his career. Millie has been with Vanguard for over 32 years, and holds the distinction of serving as our very first Client Services Representative in New York City. 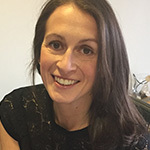 Her department now has six Client Services Representatives who support our online Easy Order clients, as well as 11 Senior Managers and Sales Representatives. In addition, Millie directs two corporate training programs covering our order entry operating system and Client Services. Millie's customer relation skills have been featured in several industry periodicals. We consider the Client Services training in our NYC headquarters so important that we require all departments, including Accounting, Design Services, Client Services, IT and Production to attend these sessions. Deborah joined Vanguard as Director of Business Development & Marketing, where she oversees all marketing efforts and new business development for the company, specifically for promo and print. 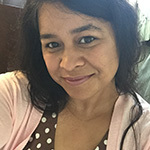 With over 15 years of experience in B2B marketing and promotional products, Deborah’s previous positions included Vice President of Marketing for a large promotional products company and Director of Marketing for a publisher. 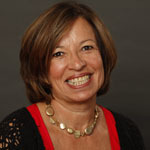 Deborah received her Bachelor’s Degree in Marketing from Hofstra University. 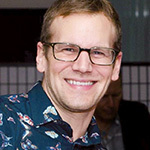 Tim joined the company in 1999 in his current position. Tim is responsible for all aspects of accounting and finance activities. He has implemented internal controls and procedures resulting in significant increases in the company’s cash flow and reduction of outstanding receivables. Tim earned a B.S. in Accounting at Florida State University in 1980, and a M.S. in Taxation from Pace University in 1987. 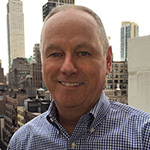 A Certified Public Accountant and a member of AICPA and NYSSCPA, Tim has served on various Community Boards and as an Adjunct Professor at Baruch College.